BREAKING: Israel STRIKES Syria After Mortars Were Lobbed Into Golan Heights! In a swift response to at least ten missiles being launched from Syria that hit inside Israeli territory, the Israel Air Force on Saturday carried out retributive strikes targeting the positions from which the mortars were tracked to have originated. “Furthermore, the IAF targeted two tanks belonging to the Syrian regime in the Northern Syrian Golan Heights,” the Israel Defense Forces (IDF) said in a statement explaining their response. 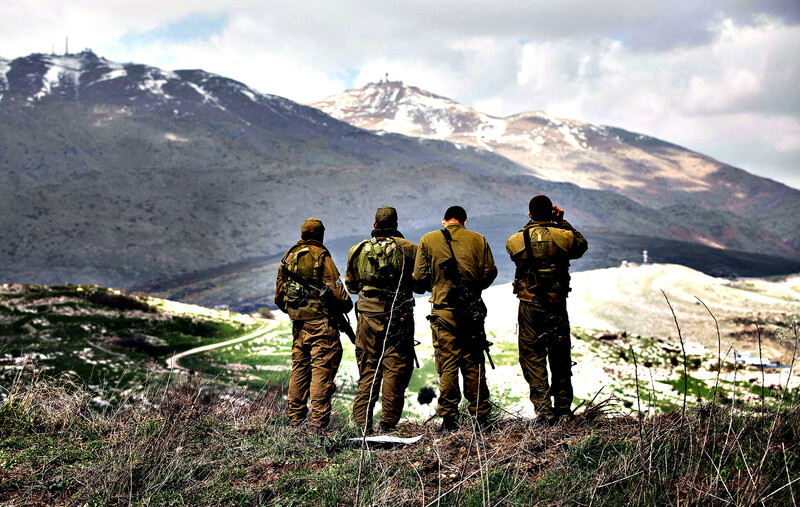 Earlier on Saturday, the IDF informed Israeli civilians to stay clear from the border area near Quneitra, which is the small village near the Golan Height’s border close to southern Syria and falls within a zone formerly disarmed by the United Nations Disengagement Observer Force (UNDOF). The IDF believes that the mortar shells that landed in Israel were most likely rounds that were off target, launched by groups fighting each other across the border in Syria. Local Syrian media reports reported claims that two people were killed in Quneitra by the Israeli retaliatory response, although these reports have yet to be properly verified. “Due to the unacceptable breach of Israeli sovereignty, an official protest has been filed with UNDOF,” according to the IDF. It still amazes me beyond belief that so many in the world do not sympathize with the nation of Israel. They have tried giving up land and also living with those who wish nothing but extermination for Israel. How can you retain any peace when one side doesn’t even consider you human? The land they are on isn’t occupied. It is THEIR ancestral home and one they have been willing to share time and time again. But as evidence of the constant attacks, the feeling isn’t mutual.